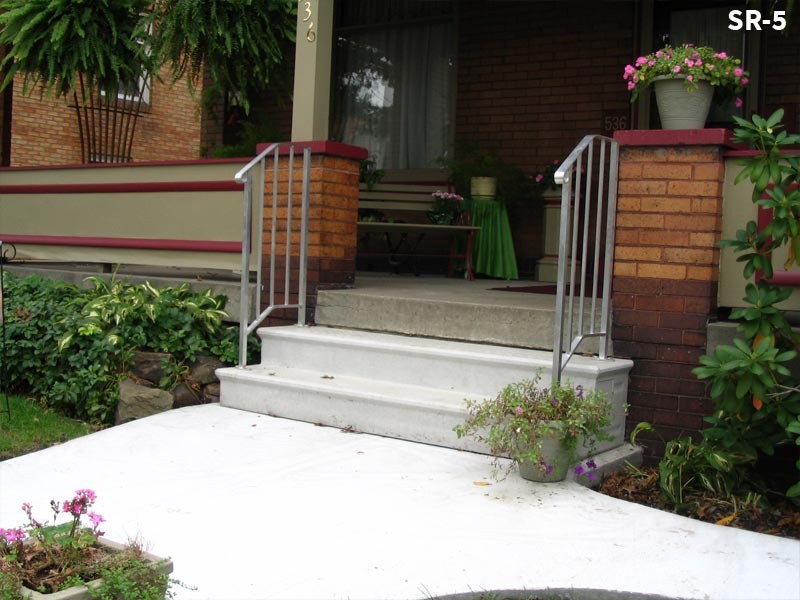 Expertly fabricated and finished to your selected design and installed by superior craftsman. 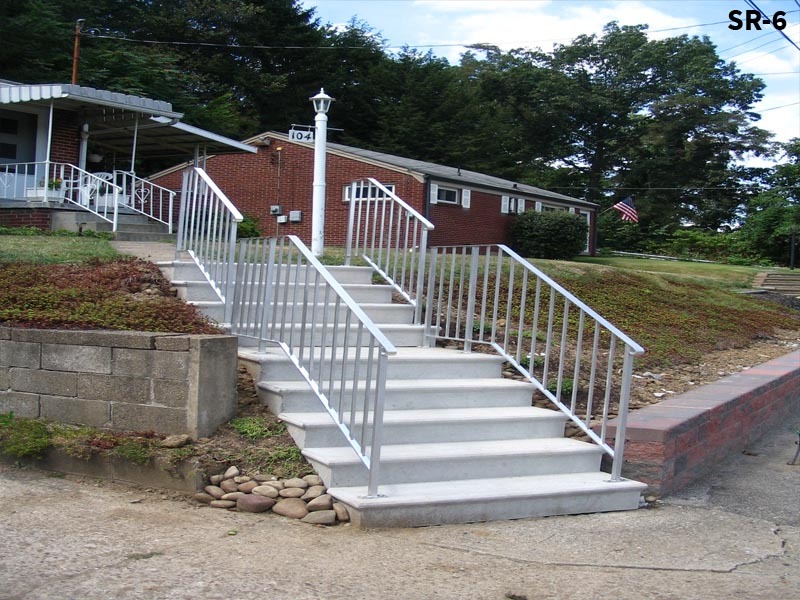 Here at Hampton Concrete Products we manufacture aluminum and iron products. 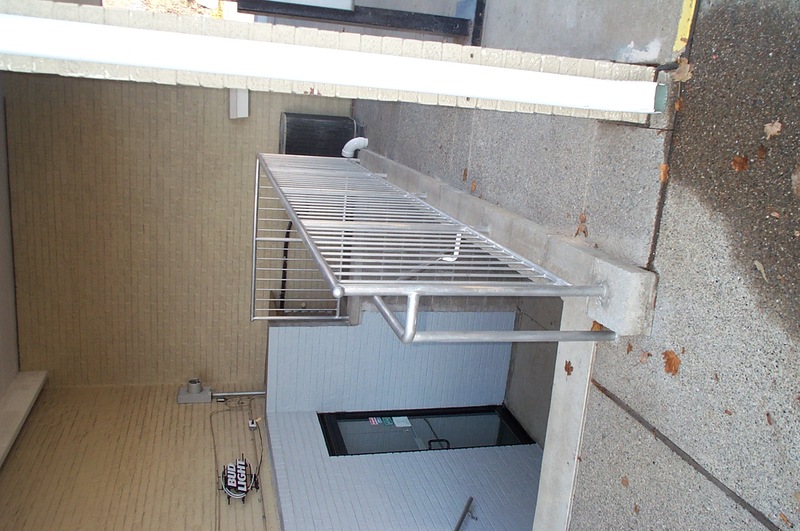 We have a weld shop and welders here in Valencia. 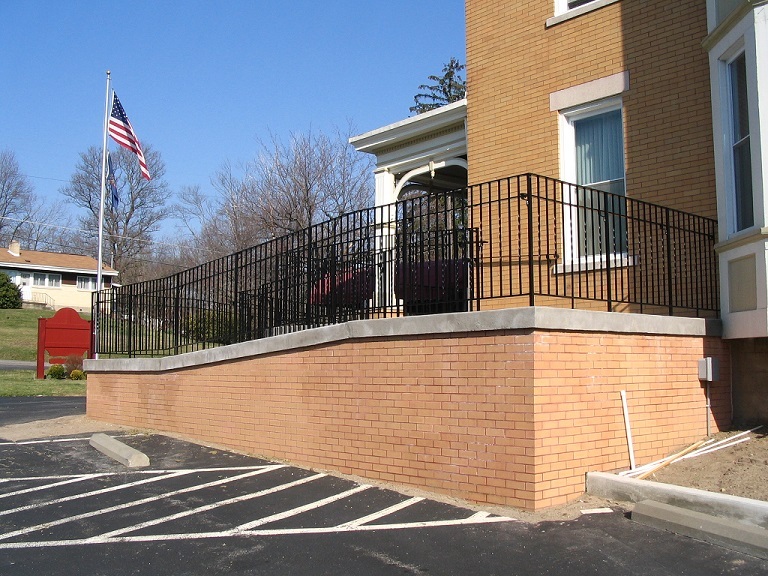 We have manufactured a wide variety of products in our metal shop. 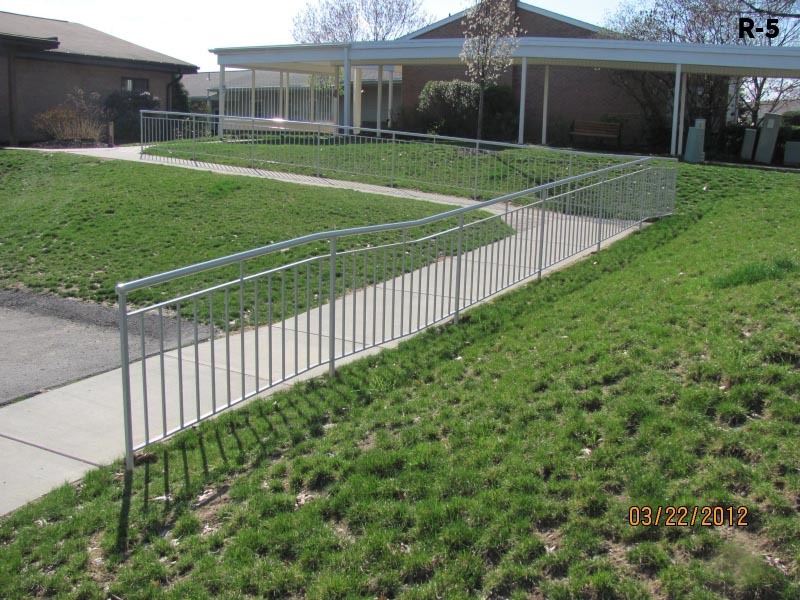 Our biggest items are Stock Railing, Custom Railing and Grates. 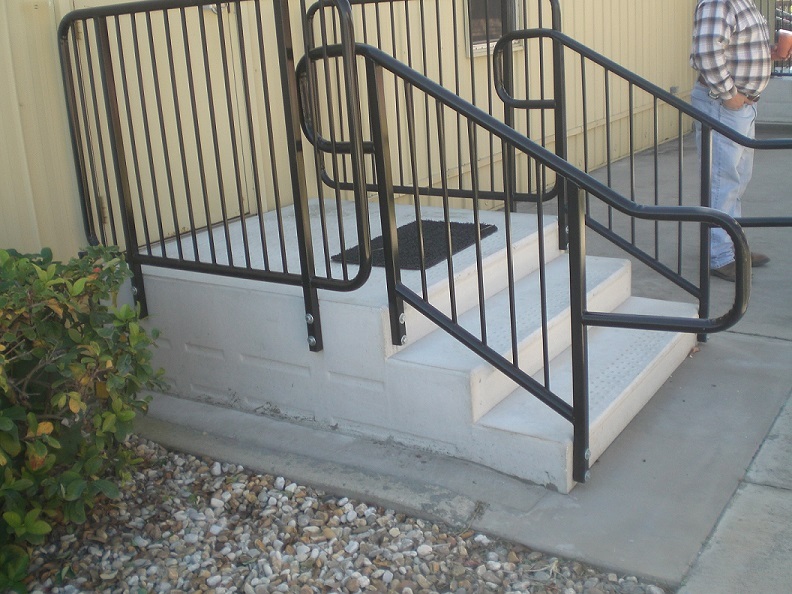 We can also do custom fabrication to make just about anything. 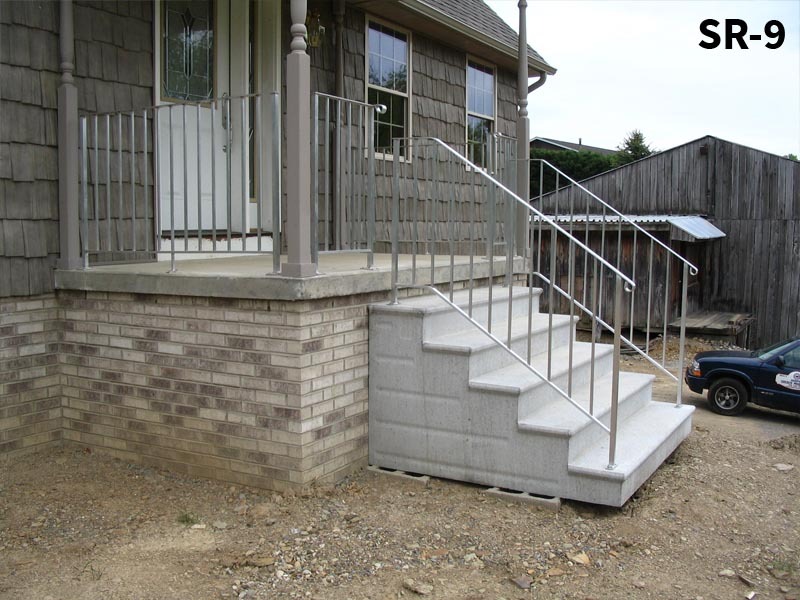 We fabricate our stock railing to fit on our own precast concrete steps. 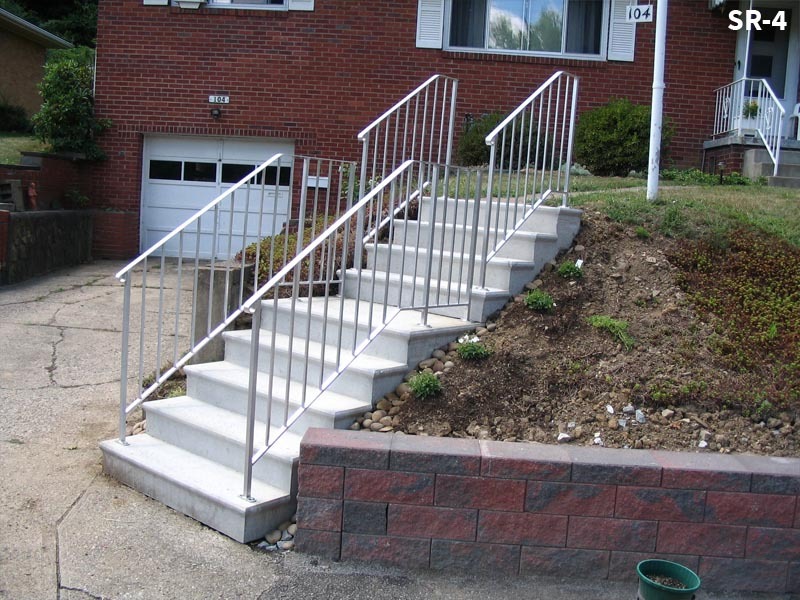 When we pour our steps we cast anchors for our stock railing into all of our steps. 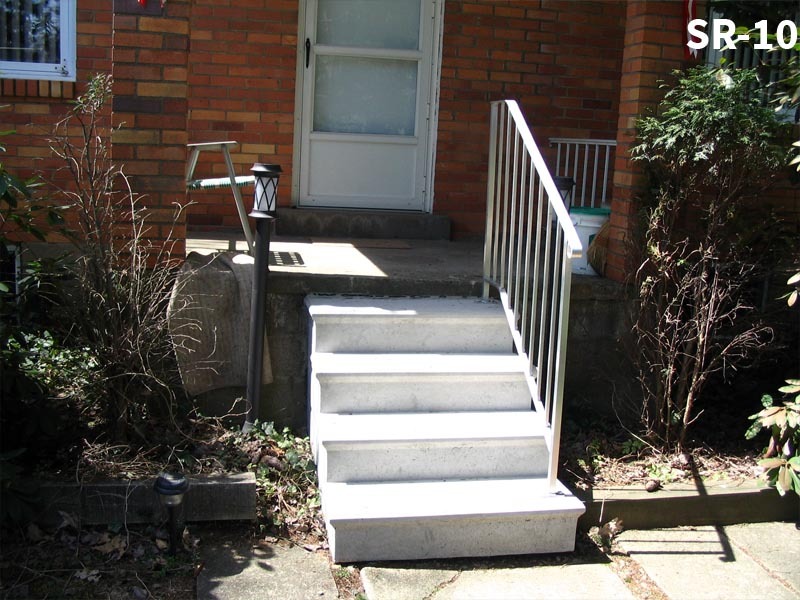 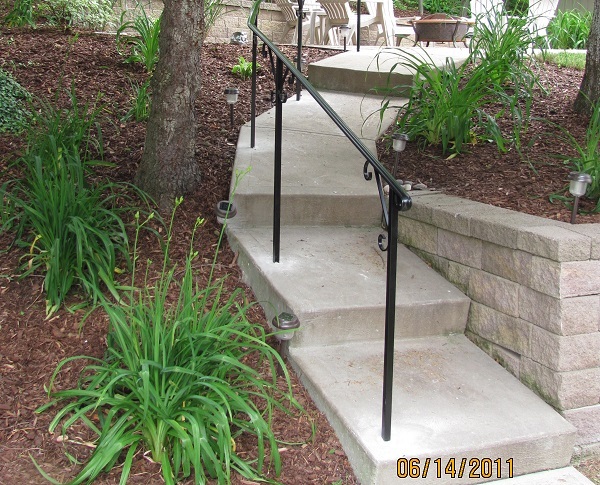 Our stock railing is made with plated feet, that can be bolted easily onto our steps. 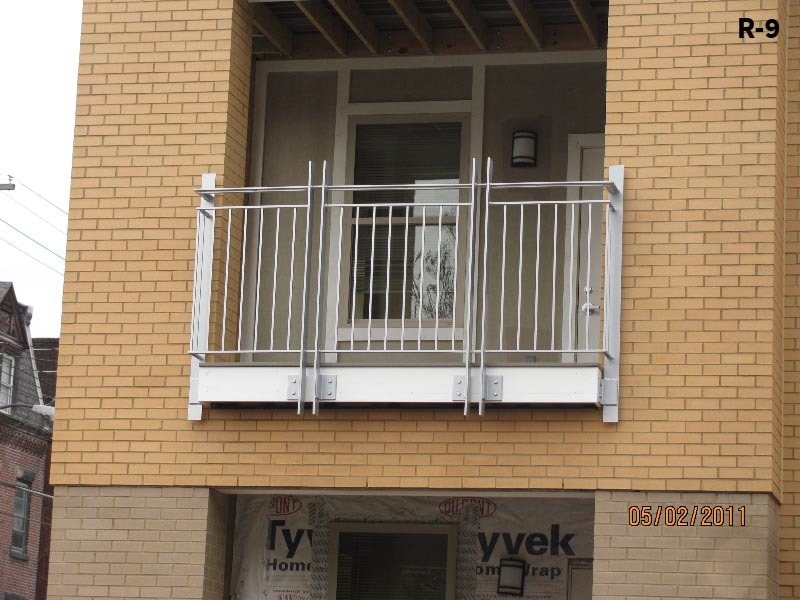 What makes it standard is the construction. 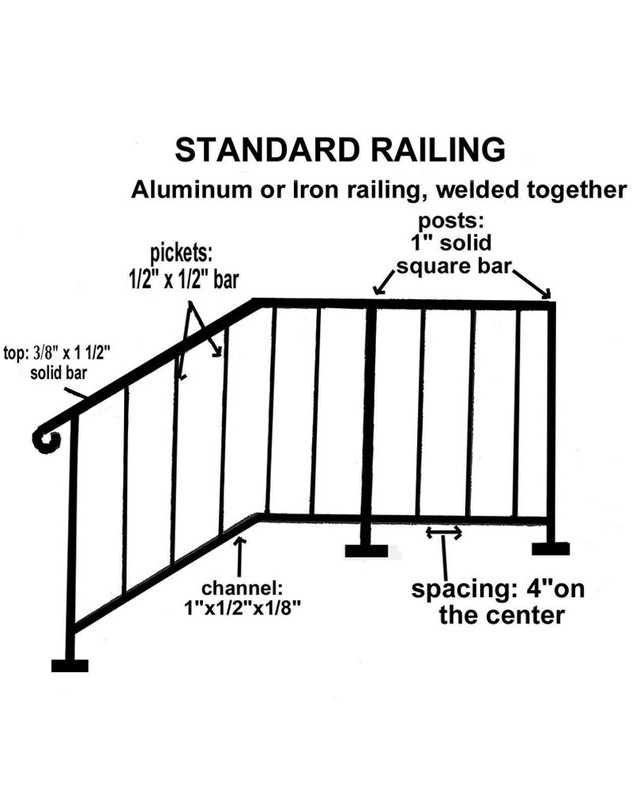 The construction of our standard railing is a top rail made of 3/8" x 1 1/2" solid bar, with posts made of 1"x1" solid bar, a channel of 1" x 1/2" x 1/8" material, and 1/2" solid pickets that run between the top and the channel. 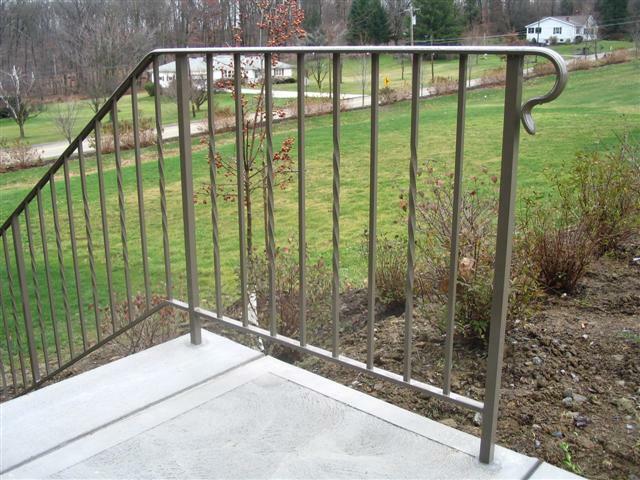 We also make standard railing with every other 1/2" picket twisted. 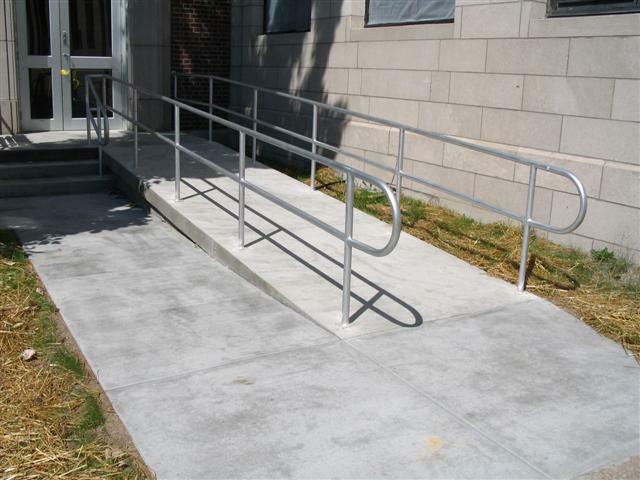 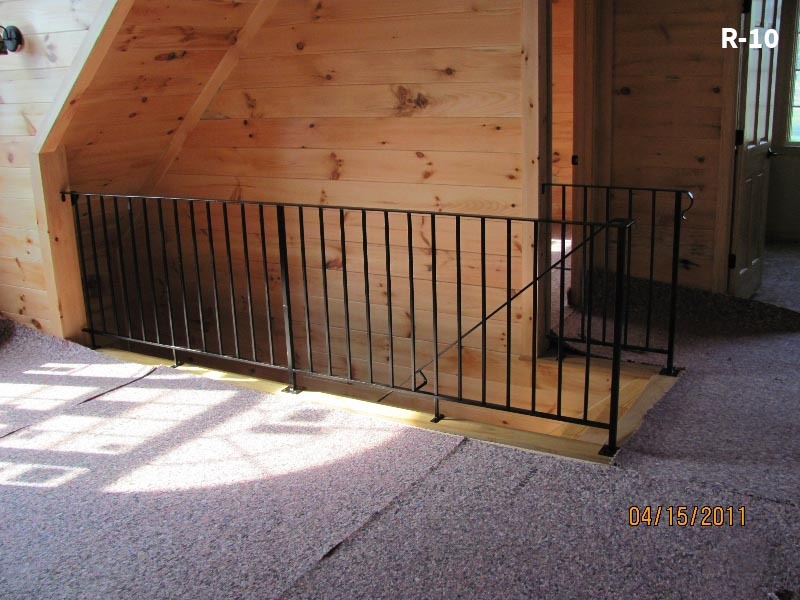 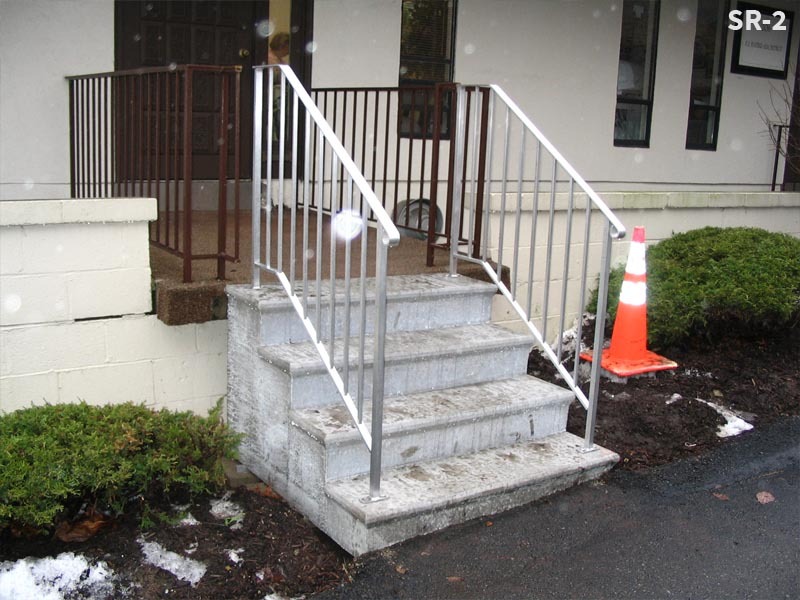 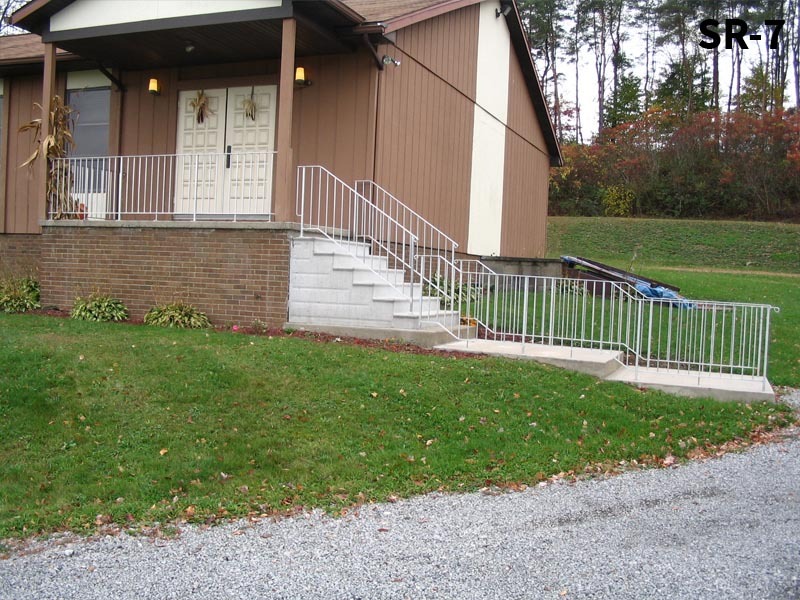 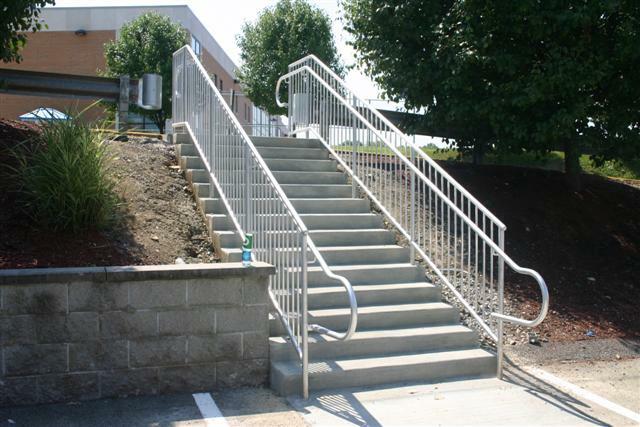 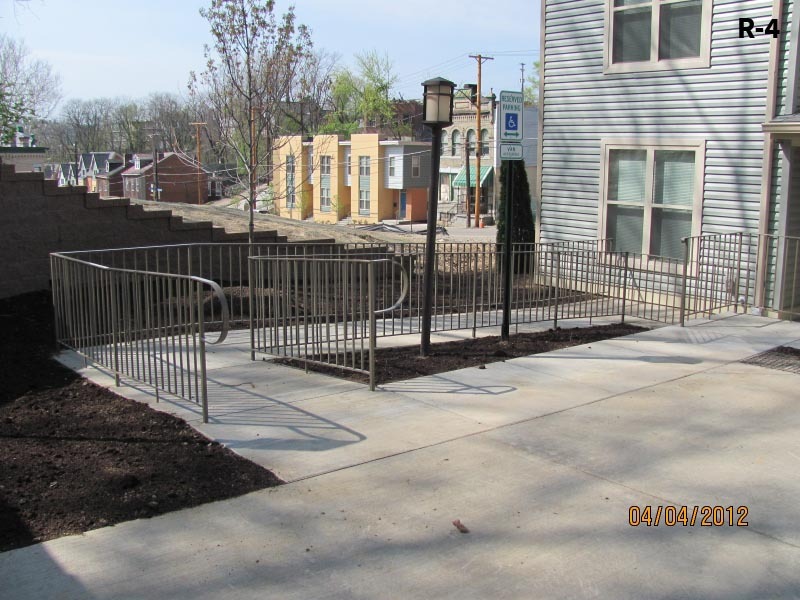 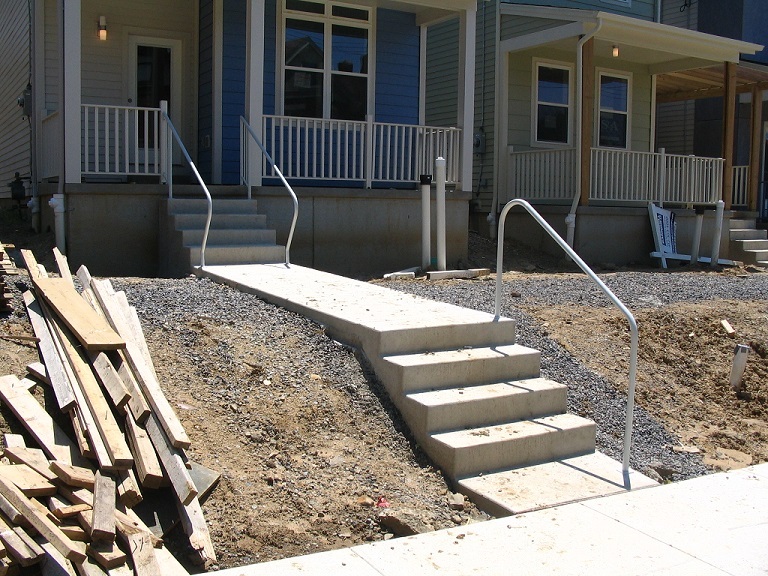 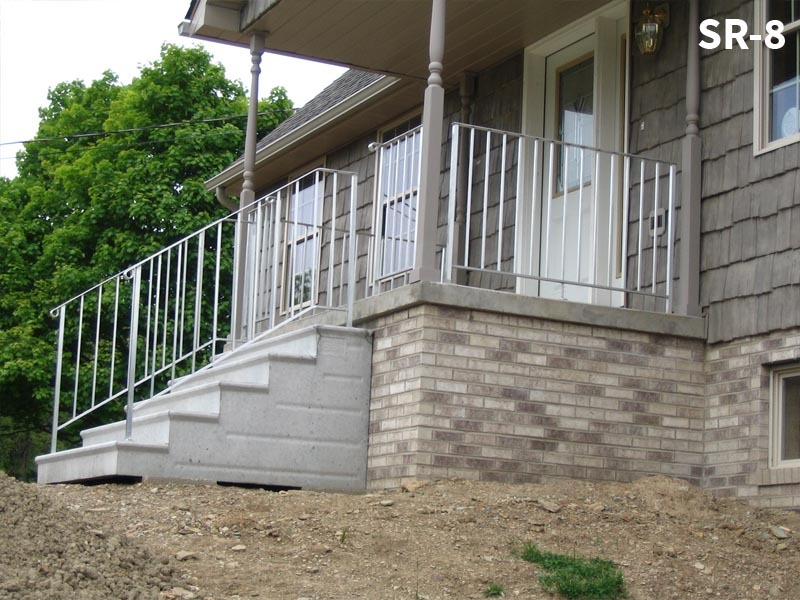 We offer our standard construction railing with a variety of material for the top railing. 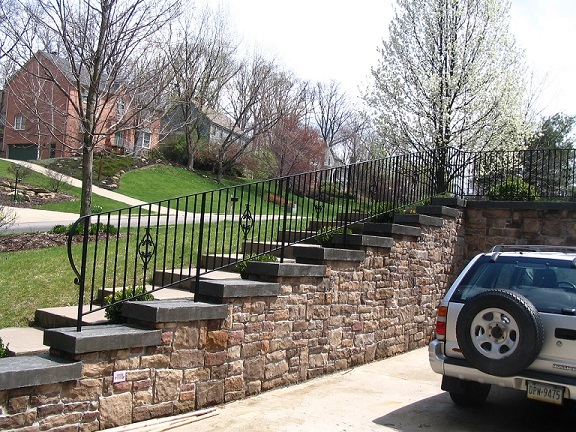 With our very own custom ornamental railing, we can custom tailor your railing to fit any style. 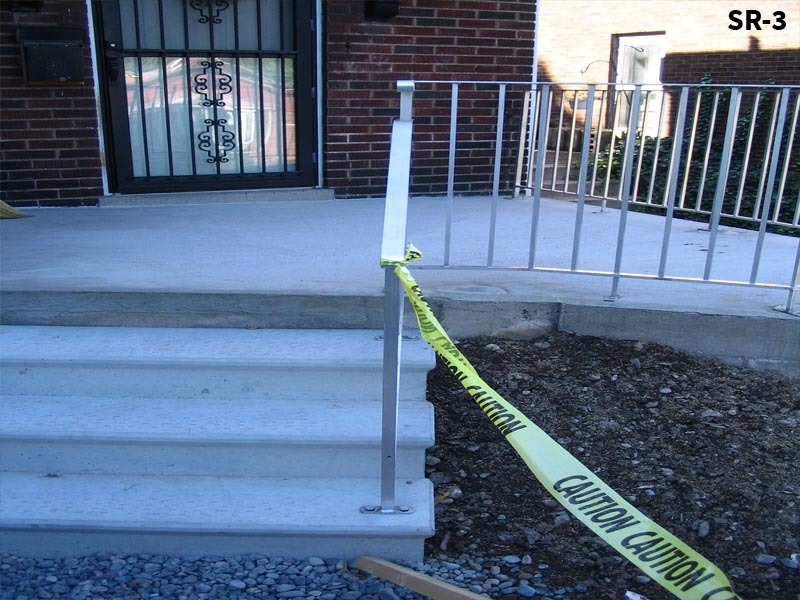 For custom railing you are free to let your imagination go! 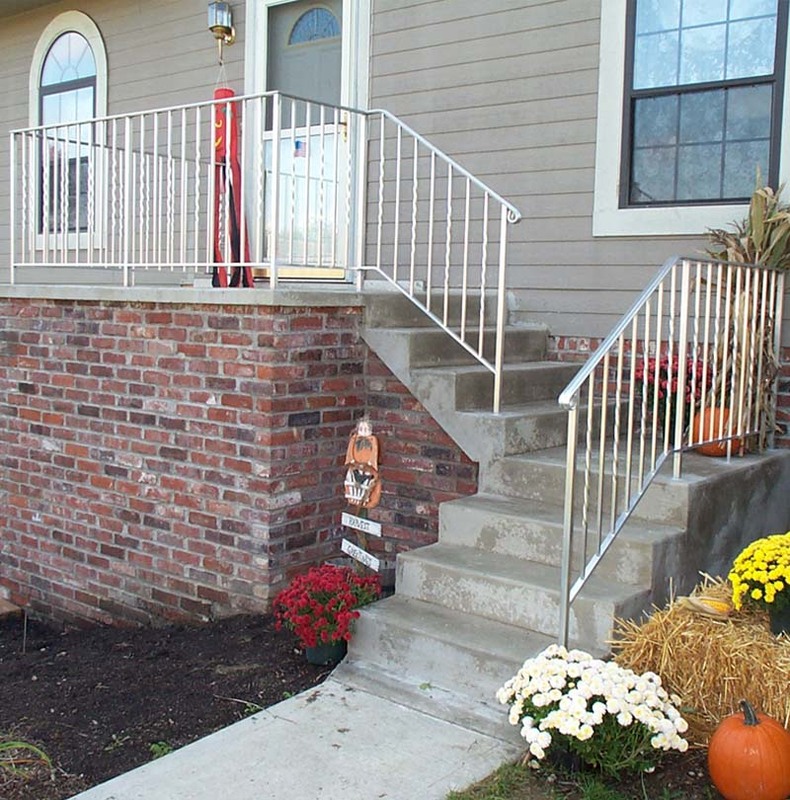 There are easy ways to dress up our standard construction railing. 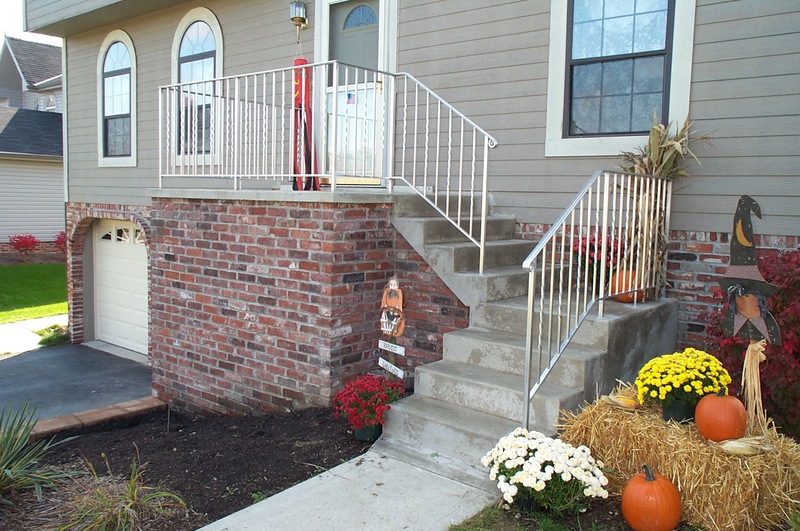 Various styles including Pipe or Molded Top can be created and installed for your home. 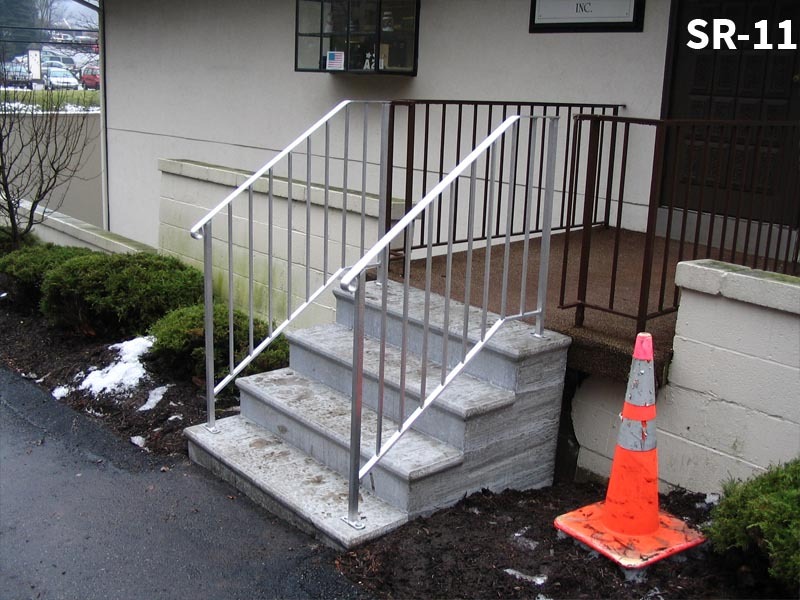 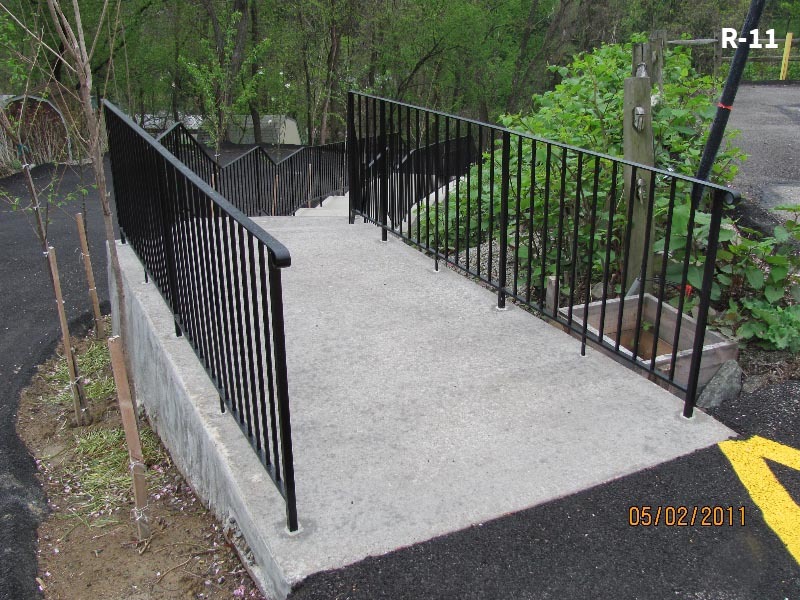 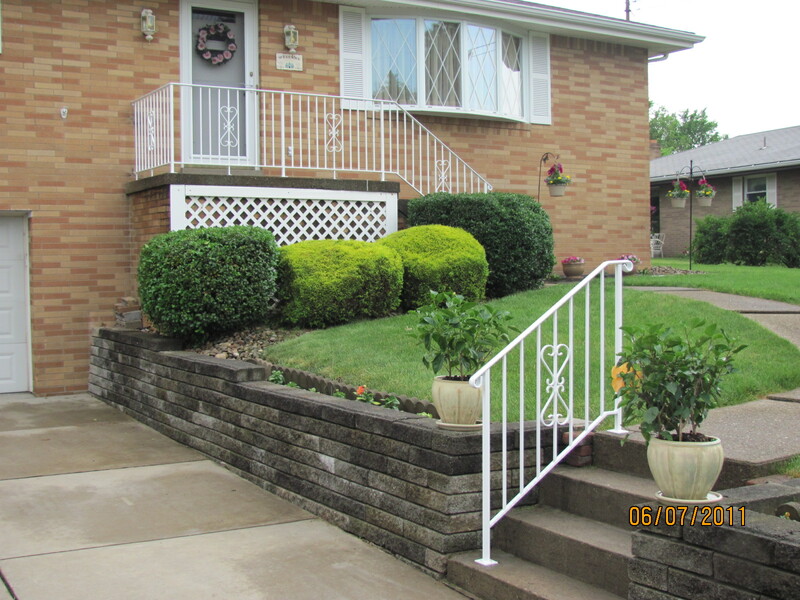 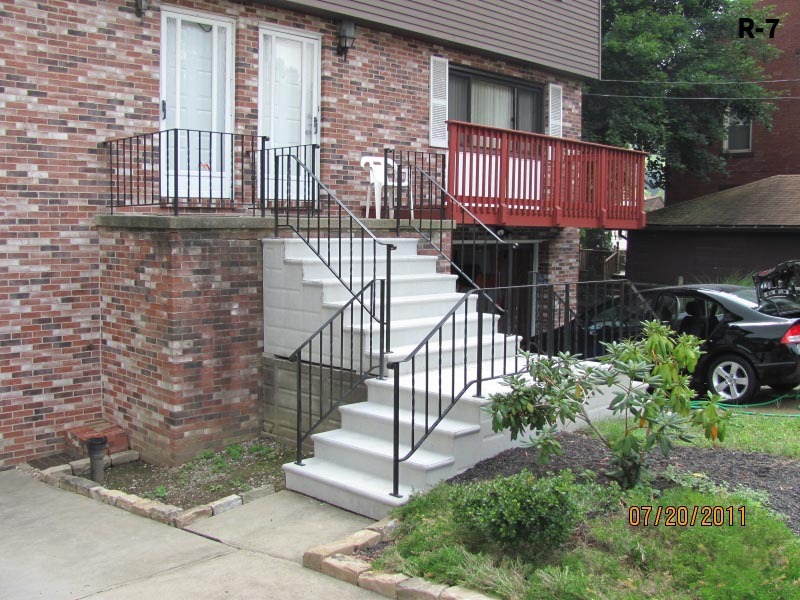 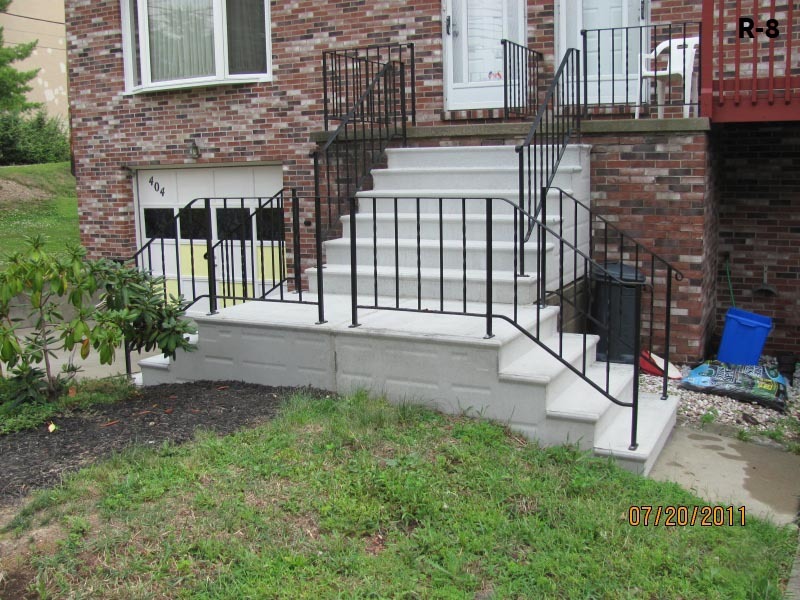 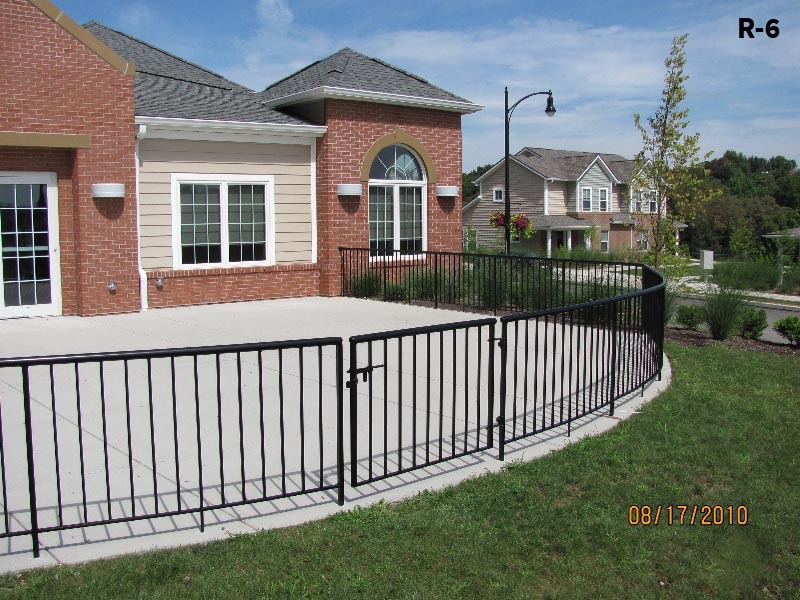 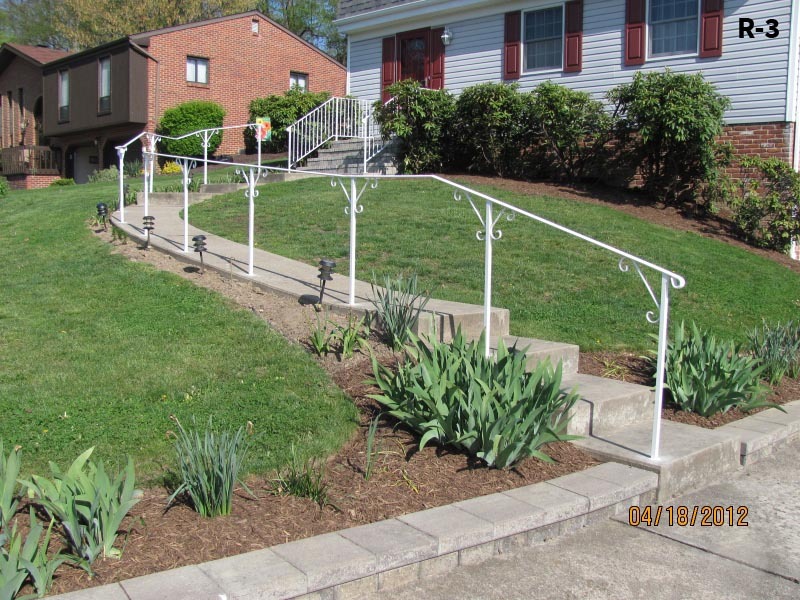 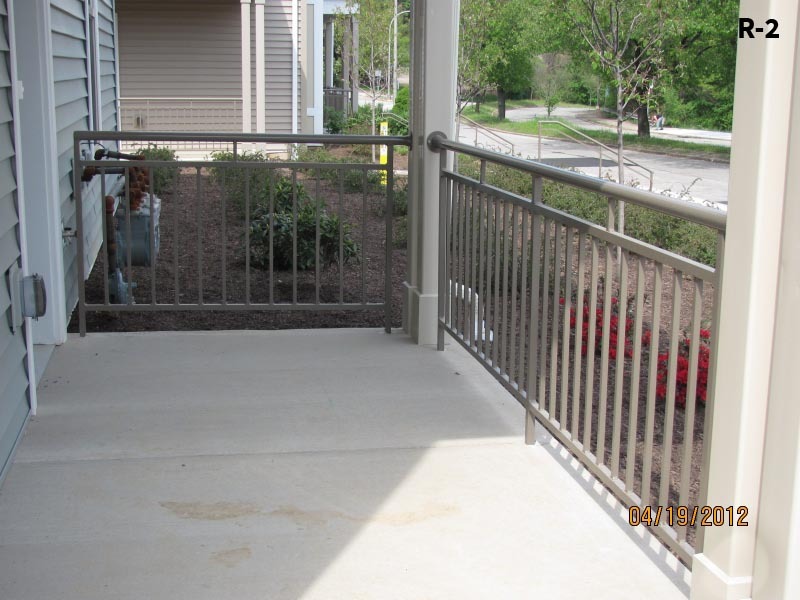 Simple additions such as picket castings and powder-coating can be added to your railing at an additional cost. 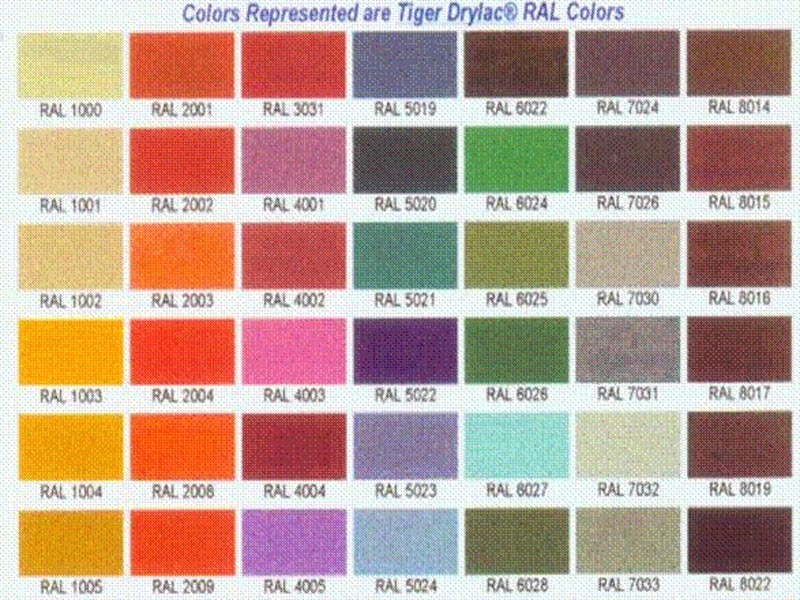 Available in nearly 100 different colors! 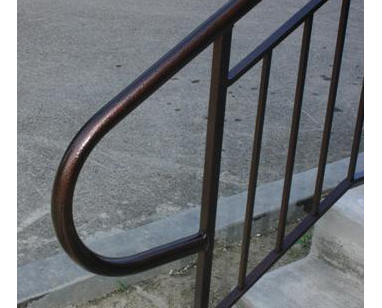 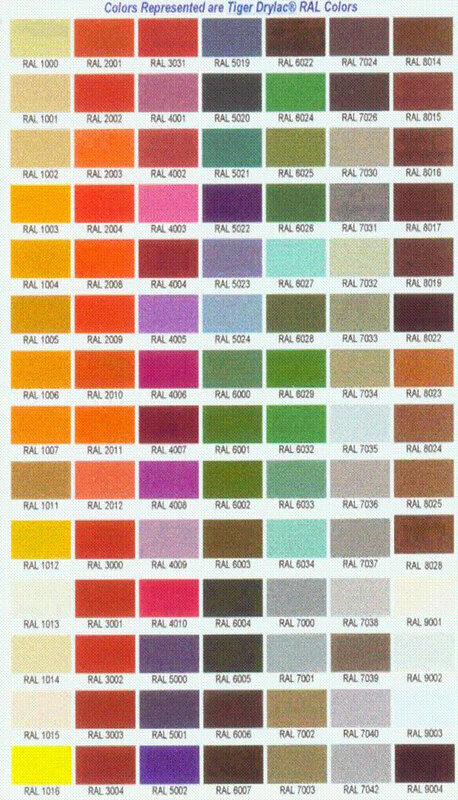 Our powder coating provides a durable, corrosion resistant finish. 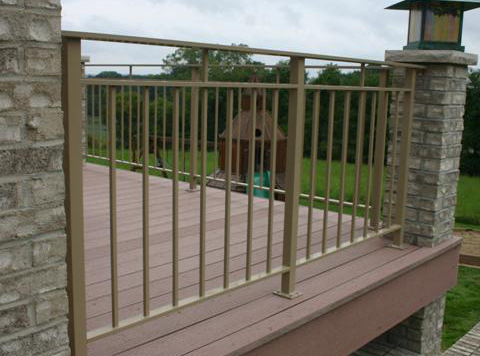 Enjoy a virtually maintenance free railing that has no chipping, saltwater, and UV resistant.